For Alyssa Walser, March 30 will see the culmination of her gymnastics career. The Chewelah student has been involved in the sport since she was eight-years old and has been to the U.S. Gymnastics state tournament for 10 straight years, winning 11 medals. She’s coming off a second place finish in the floor routine and will be one of the most experienced competitors on the floor. Walser is probably one of the few gymnasts that can lay the smackdown as well as she is also a Chewelah wrestler as well. Walser started wrestling and gymnastics at roughly the same time with her older brothers getting into the sport as Mat Cats. She wanted to follow in their footsteps. 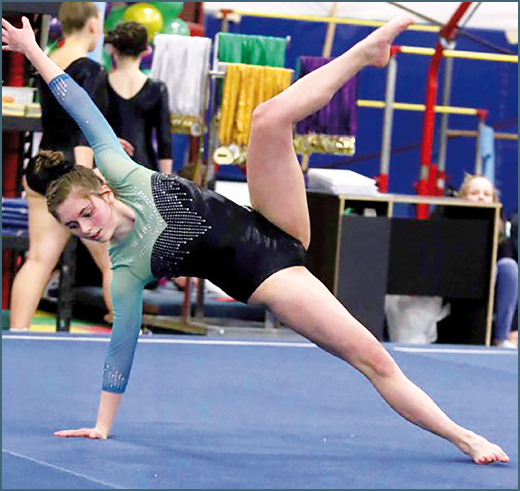 Her mother Leia also got her into gymnastics, practicing up in Colville and the payoff has been learning commitment, perseverance and performing under pressure. Six months after starting gymnastics, she was invited to be on the competitive team. Gymnastics is a bit like wrestling in that it’s an individual sport, but differs in that a judge’s score determines your success, taking a little bit of the destiny of a competitor out of their own hands. Walser is capping off a five-event regular season, and with her scores being high enough, she qualified for state in Richland. Competing in the Excel division as opposed to the Junior Olympics division has allowed Walser to compete in more school sports, but there is nothing really laid-back about the level she’s competing at. Scores to determine first through third can be hundredths of a point. Walser trains at Dynamic Gymnastics Academy in Spokane, practicing 3-4 hours for three to four days a week. It includes a lot of conditioning and with the wide range of motion gymnasts need, there are different workouts everyday from coaches. The degree of difficulty in practice is high as well. There is no slacking off during gymnastics due to the dangerous nature. People can get seriously injured at any time practicing the various events such as the high beam, vault or bars. “You have to have mental awareness otherwise it could be your last day in the gym,” Walser. Walser has had her share of injuries and had to work through them. She’s had two surgeries and had to learn the mental toughness of coming back from injury and performing through pain. “It teaches me to really listen to my body and understand when enough is enough,” she said. While the high beam can be one of the most intimidating events, Walser has found her stride in the floor routines. Routines are usually planned by coaches, but Walser has been working on her own floor choreography. They have to meet a certain guideline for skills displayed, but it’s something the Chewelah student really relishes. “I love floor, I get to show who I am and I love tumbling,” Walser said. She was undefeated last year in the floor routine before state and is looking to perform well this year. Since it’s an individual sport, she’ll have other people working to unseat her in various events. Gymnists qualify for state through their overall score in four events. “Everybody knows their rivals and people watch you that you’ve never met before, but they know you,” she said. Pressure is an understatement for judges. Walser said she gets more nervous about events as she gets older. With the introduction of judges, they can take points off for many different things and sometimes the scores can be out of the gymnists hands. But Walser had won 11 medals as gymnast, and while competitive gymnastics after high school is difficult for someone to be involved in, the Chewelah student hopes to continue to be involved recreationally. 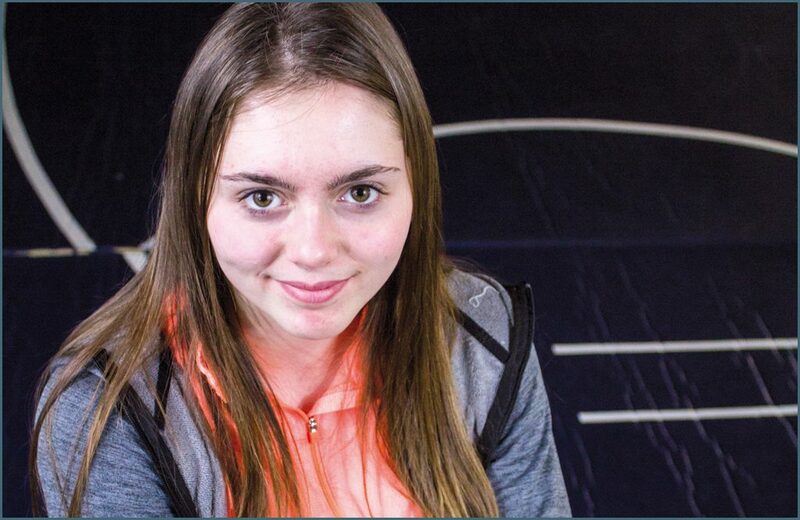 Walser is already a running start student and will graduate high school in June with her Associates from SCC. She plans to attend BYU-Idaho in Rexberg, Idaho and wants to go into emergency medicine. “I’m going to try and travel to different countries and do medical missions,” Walser said.